Photoshop is a fascinating program, featuring an array of tools that allow you to select objects. 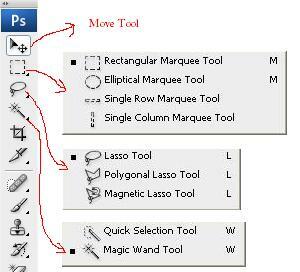 Such tools include Magic Wand, Polygonal Lasso and Rectangular Marquee tools. Each of these tools may be accessed from the main Photoshop toolbar. As such, selecting different items using such tools is relatively easy. What if you selected something by mistake? Well, many computer users today are comfortable selecting different items on the program; but do not know how to deselect them. 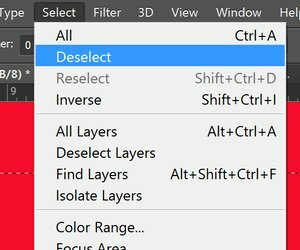 it is possible to deselect the items you have already selected on Photoshop, but how do you go about it? 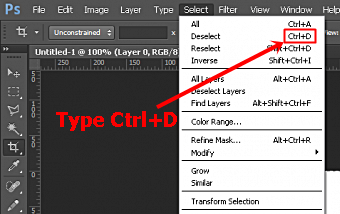 To deselect items on Photoshop, you may click the relevant menu items using your mouse. Alternatively, you can use the right key combinations on your keyboard to deselect in Photoshop. 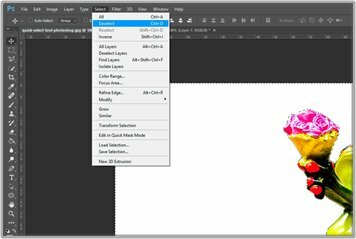 Before you can deselect in Photoshop, you first need to understand the various selection tools used in the program. This way, you will be in a better position to deselect items selected using these selection tools. There are several marquee tools you can use on Photoshop. For instance, the rectangular marquee tool allows you to select rectangular areas on an image. The Elliptical Marquee tool, on the other hand allows you to select oval and circular shaped sections on an image. Other Marquee tools offered by this image editing software include the Single Row Marquee and the Single Column Marquee tools. The various quick selection tools on Photoshop, including the Quick Selection tool and the Magic Wand tool are basically color based. The Magic Wand tool, for instance, is used to select portions of the image according to its similarity in color to adjacent pixels. Such a tool is comes in handy whenever you would like to select odd-shaped sections of the image that share a certain range of colors. In addition to the selection tools mentioned above, Photoshop offers you several other selection tools. The various other tools, including Quick Mask mode, crop tool and pen tool are all designed to achieve a certain task. The Pen tool, for example, is designed to help you draw paths around various objects, which may then be converted into a selection. This tool is unique and happens to have its own steep learning curve. As varied as these Photoshop selection tools are, they are all designed for enhanced ease of use. As such, you will find it comparatively easy to select items on the image you are editing using them. While selecting items on Photoshop is that easy, deselecting them is a challenge for some users today. Each of the above mentioned Photoshop selection tools functions differently. However, deselecting the items selected using the various tools is standard. This is to say that the procedure for deselecting items on Photoshop is almost the same for all these selection tools. As mentioned earlier in this article, you may deselect items on Photoshop using the Mouse or using key combinations on the keyboard. So, how is this done? Click on the Window that has the selection that you want to deselect to activate it. In this case, the selected items will be highlighted by a surrounding line of dashes or dots. On this drop-down menu, click on the ‘’DESELECT’’ option. Doing this will automatically deactivate all the selections carried out on the highlighted area. Yes, deselecting items in Photoshop using a mouse is just that simple. What if you would like to use a keyboard to deselect? Using the mouse, click on the window containing the selection you would like to deselect. While holding ‘’Control’’, press the ‘’D’’ key. By so doing, all the selections on the active window will be automatically deselected. If you are using Photoshop on a Mac, the procedure for deselecting is a little different. If you are using a keyboard to deselect in Mac, you should use the ‘’Command’ key as opposed to the ‘Control’ key in Windows PCs. As you can see, deselecting is actually easier than selecting items in Photoshop. Provided you use the above described steps, deselecting in Photoshop should be easy.